In the last decade, coal production within Europe has fallen significantly, due to the strict environmental legislation of EU members, as well as the gradual depletion of shallow depth fields, writes Ibragimov Dovronbek, Chairman of Carbo One Limited. Europe therefore decided to purchase cheap American coal. However, it is not by chance that American coal is cheap. According to the new environmental rules, the American power industry has to reduce the use of coal by 27% by the year 2030, and to increase the use of gas by up to 33%. Unclaimed high- sulphur American coal depreciates. Finding higher demand on EU markets means that, in its turn, a paradox of environmental degradation is created. Also, as the result of an initiative from the German government, there is a dynamic propaganda of anti-recessionary policy aimed to save money that has stopped the development of gas production. Major industrial companies are now seeking to get rid of gas-built power plants which operate at a loss under the state support for renewable energy resources, and to roll back to cheap coal. In an effort to find a balance between the low price for resources and compliance with environmental rules, European companies have come around to purchasing Russian coal. This has higher calorific capacity than its substitutes which are of a lower grade (including the American coal), which means it can produce more energy per tonne of fuel, thus creating fewer GHG (greenhouse gases) and sulphur. It reduces depreciation and emissions into the atmosphere of pollutants and other substances. It is about shallow coal deposits that mean coal can be sourced by open-pit mining as well as relatively cheap electric power. Therefore, the 2014 slowdown in the exports of Russian coking and steam coals — due to a wide range of factors including a surplus on Asian markets, and increased global market competition relative to new large-scale field development (in Australia, Columbia, Mongolia and Mozambique) — in the first half of 2015, Russian coal demand on European coal markets has grown by 2.9%. “Europe can replace Russian coal volumes buying coal in Columbia, South Africa, USA, Australia and Indonesia, but it will mean price appreciation,” said Diana Basila, ‘Nena AS’ analyst (Bloomberg). Whereas coal production and export is important to the Russian economy, export recovery is essential. According to analysts’ expectations, the next few years will not be easy for the Russian coal industry. The planned gasification of several regions in Russia (e.g. 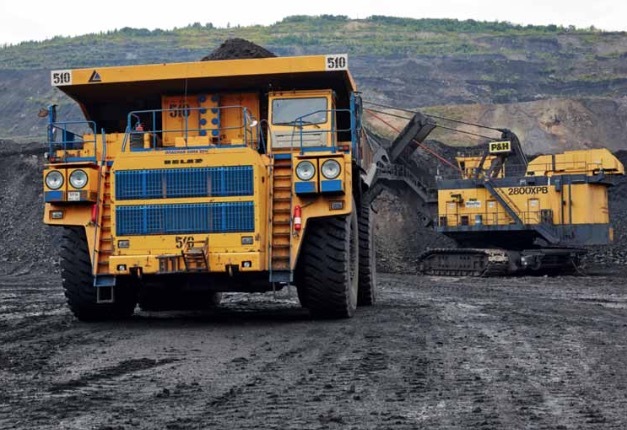 Primorye) will cause domestic coal to decrease. In this context, the only way forward for coal companies will be to increase production and export it abroad. Alternatively, the growth of domestic consumption of coal can only be shown by the expansion of coal complex conversion. But this topic must be discussed, not for the first time, in Russia. However, potential deep conversion of coal in the foreseeable future is very limited: coke-chemicals and by- products of coke production — benzine, toluene, resin. The deeper development of coal chemistry within existing technologies appears unacceptably expensive for Russia in the face of comparatively low prices of oil and gas stocks, despite the fact that there is plenty of coal in the country. Coal chemistry is actively engaged in in China, which has very limited reserves of oil and gas resources, but enormous (about 3.7 billion tonnes per year) coal production. However, e.g. ethylene production unit from coal with capacity of 0.6 million tonnes per year in China costs about $4 billion. The Chinese talk about the theoretical possibility of reducing the initial cost for this technology by half due to the new types of reactors, but for now this is only a pilot project. In Russia, such a unit would cost even more because all the components for it would be supplied by using foreign currency. And the growth of foreign exchange rates at 2015, more than controversially, affected the Russian coal industry. Deputy Director of the Department of Coal and Peat Industry in the Ministry of Energy of the Russian Federation, Sergei Shumako spoke at the ‘Results of the development of the coal industry in Kemerovo at 2014’ meeting. He stated that, due to the economic downturn in the country and the increased risks of implementation, Russian companies are blocking projects: this has increased the number of requests to preserve recently obtained fields to develop. Also, coal companies have begun to apply for changes in licence agreements through already developing fields. The key point here is the imported equipment value increase due to the increase in foreign exchange rates and banks’ lending rates. Because 80% of the equipment used by Russian companies are supplied by foreign manufacturers, as well as constituent parts, the purchase of new equipment and renovation of old equipment has become harder with the rise in foreign exchange rates. On the other hand, the fall in world coal prices causes coal companies in Australia, South Africa and even the United States to lose money and forces them into reducing exports, while opening opportunities for the exporters from Russia. As has been noticed by Raffael Miskoriya, analyst at Italian coal trader ‘CC Colerici’, ”Devaluation of the rouble made it possible to gain additional profit by exporting enterprises, as a matter of fact their currency profits in ruble counter value increased for almost twice. In Russia they currently have a competitive advantage for export”. Despite increased European demand, the Russian coal industry faces hard times in the next few years. The key problem for Russian coal mining companies is extremely expensive logistics. In 2014, the average export price for a tonne of Kuzbass coal was $76. The companies had to spend half of this sum in transporting the coal to Far East ports to supply the Asia-Pacific region. Kuzbass is 4,500–5,000km from the ports of the Baltic and the Black Seas. From Pacific ports, it is 6,000km away. According to the Fuel and Energy Department of the Kemerovo Regional Administration, transport charges are up to 35–40% of the final price. At the Russian Federation, the coal industry development plan for the years up to 2030 — to be adopted by the Government of the Russian Federation — clearly outlined the importance of the development of the domestic coal market. It also stressed the need for Russia to consolidate on the world coal market, and to increase sales in Europe and Asia. However, taking into account all the consequences of the recession, the most likely scenario is for Russian coal miners to maintain the rate of production, rather than increase export sales.